Fair trade is a social movement whose stated goal is to help producers in developing countries achieve better trading conditions and to promote sustainability. Members of the movement advocate the payment of higher prices to producers, as well as higher social and environmental standards. 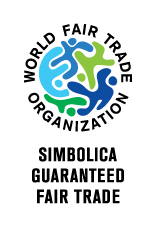 Simbolica Fair Trade is certified as a Guaranteed Fair Trade Organisation. The WFTO Product Label tells you that the practices across the supply chain are checked regularly against the WFTO Fair Trade Standard through independent local audits. 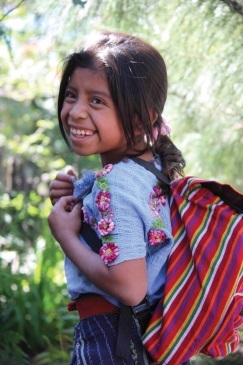 Apart from fair trade, we like to give something back to the communities we work with in Mexico and Guatemala. 10% of our profit is donated to the projects of the Simbolica Projects Foundation to make schooling available to hundreds of Maya children. Your purchase makes it happen. Check www.simbolicaprojecten.net for more information or if you like to donate directly online.